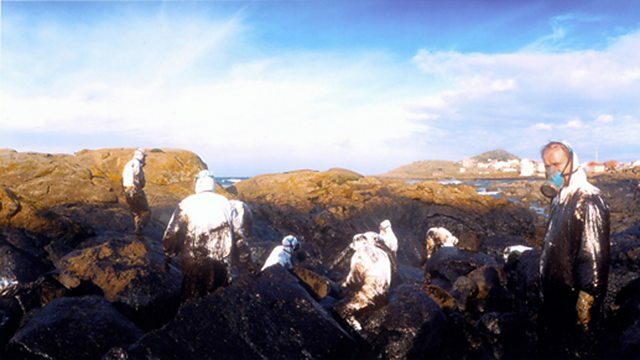 How thousands of volunteers cleaned up after a huge environmental disaster on the coast of Galicia in northwest Spain in 2002. In November 2002, an oil tanker, the Prestige, sank off the coast of Galicia in north-west Spain, causing one of the worst environmental disasters in the country's history. In the following months, thousands of people from all over Spain travelled to Galicia to help clean up the spill. Simon Watts talks to Xavier Mulet, one of the volunteers.